Home > Aalto Vases > Iittala Aalto White Vase - 4-3/4"
Iittala Aalto White Vase - 4-3/4"
The Aalto white vase is cased with a layer of white glass inside an outer clear layer. 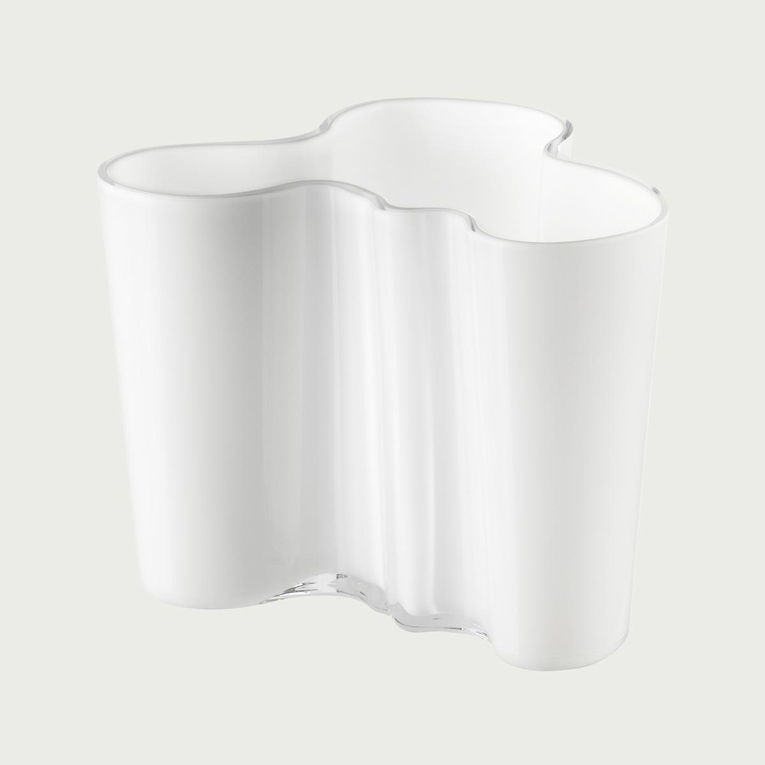 The white Aalto vase is a modern vase that reveals layers of white and clear glass in magestic form. Reviews of Iittala Aalto White Vase - 4-3/4"
Questions & Answers for Iittala Aalto White Vase - 4-3/4"